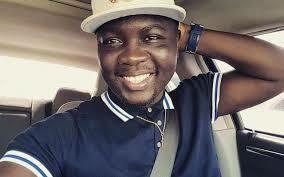 Comedian, Seyi Law, admits he has done so many crazy things but he would easily recall the craziest thing he has ever done which is travelling from Lagos to Benin virtually every Saturday to see a girl who did not appreciate him. Although a funny story, the comedian said that while it was going on, there was nothing funny about it. “I stayed in Benin with my elder sister for a while and I was so much in love with the girl back then. It was during the time when you would be talking to a girl that you like her but she would not give you any response. Then I would go back home and begin to play Westlife songs and when I was done, I would move to Plantainshun Boys. I just finished secondary school during that period. “Eventually, I had to come back to Lagos but that did not stop me from seeing her. I would wake up around 4am, leave Lagos for Benin and return that same day. The road was very bad and sometimes, I would spend about ten hours on the road. I would only get to see the girl for about two or three hours, then I would rush back to Lagos. That was how much I was in love but she never appreciated it. I did not have money then. There was a time we tried to re-connect on Facebook but I had got married then and I am very happy with my wife,” he said.